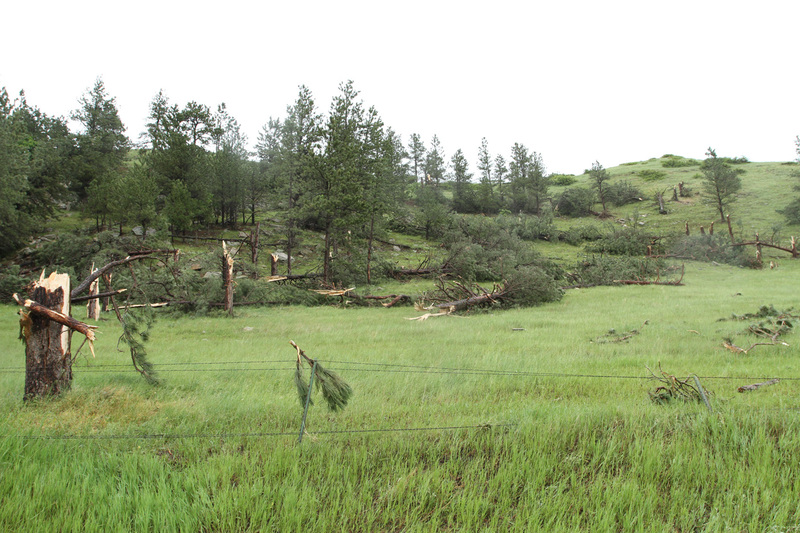 I am not superstitious but I find it interesting that my first encounter with a tornado happened on Friday, June 13th near Devil’s Tower, Wyoming. My storm chasing trip started June 9th when I flew to Minneapolis to meet up with partners, Skip Talbot, forecaster and professional chaser (http://www.skip.cc/), and Jennifer Brindley, also a chaser and professional photographer (http://jenniferbrindleyphotography.com/storms/). 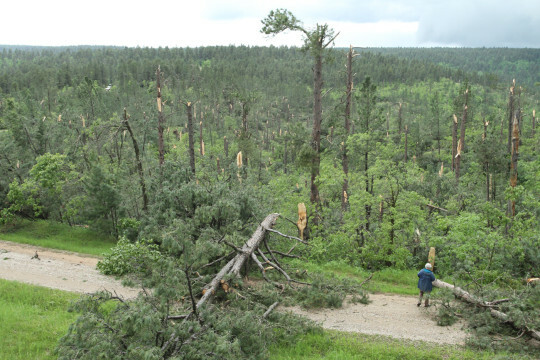 This was to be an amazing eight-day adventure where we would see no fewer than six tornados. 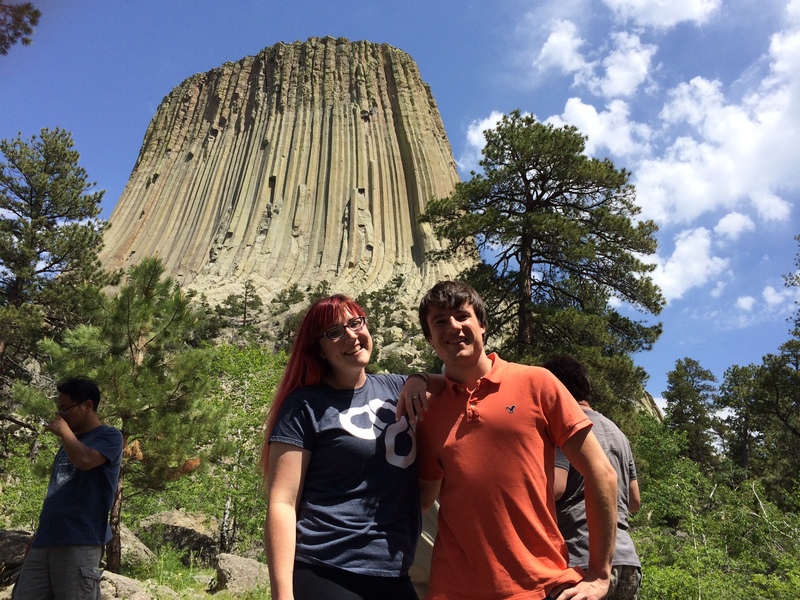 On this day, the storm we would chase was expected to initiate in the late afternoon, so we took some time to hike and take a sightseeing trip to Devil’s Tower. Sure enough, by 4pm, a large storm sprang to life just west of Hulett, Wyoming and the chase was on. Tornados form under the updraft base of a supercell thunderstorm. This is typically seen as a cloud lowering on the southern portion of the storm. As the base begins to rotate, a “hook” shape often forms on radar. 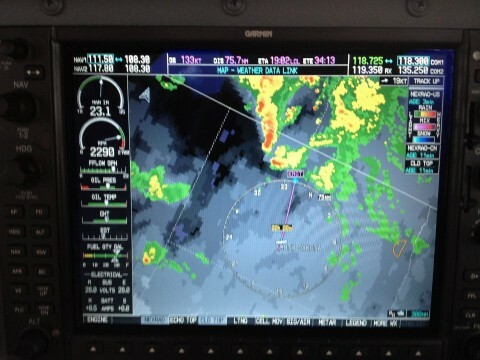 This is a radar image of the storm taken from my phone as we made our approach (Yes, there’s an app for that!). 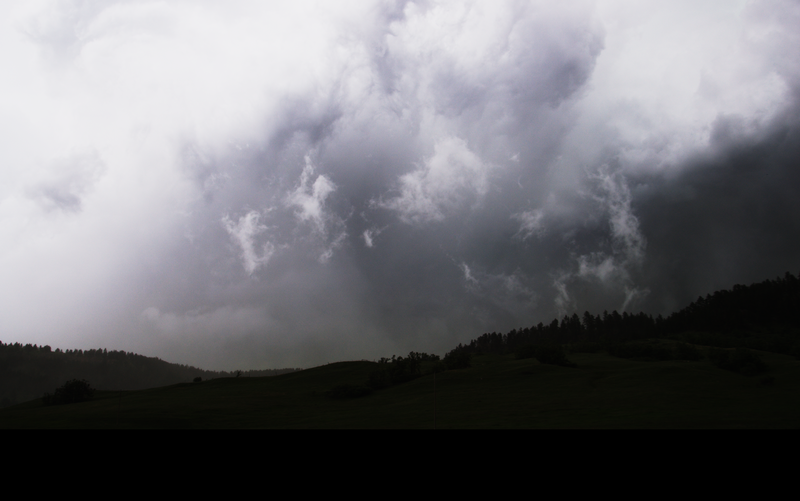 Normally, when chasing storms in the Plain States, we are in open country, but this storm was maturing in the hilly country of the Bear Lodge Mountains. Very few highways intersect this area but we found a spot on Highway 24 about 15 miles southeast of Hulett. Our vantage point gave us a view to the northwest where the storm had just become Severe-Warned. The track of the storm was eastward, so it would likely make a close pass to our north. Here I am filming the storm as it approached from the northwest. Skip Talbot is standing next to me. Photo by Jennifer Brindley. The sky became dark and ominous, and the storm, which was now officially Tornado-Warned, showed obvious rotation at its base. Wind started gusting around us, and as the updraft base came closer it became hidden by the foreground hills to our north. Little did we know that a strong tornado was at the heart of this rotating cloud. Soon it became obvious that the storm was becoming increasingly violent. White clouds were whipping across the ridge to our north. We felt a blast of hot air, then heard an unearthly crackling roar, both being signs that a tornado is very close. Strong winds forced me to move my camera to the shelter of the van. Jennifer Brindley catches me moving the camera out of the wind. This clip shows the rotating cloud to our north at its closest point. We continued to be battered by winds that were as strong as any I have felt in my life, winds at our back that were attempting to draw us toward the storm. We felt another blast of hot air. Skip assured us that we were perfectly safe in this location. Can you see the dark funnel shape in the center of this contrast-enhanced image? 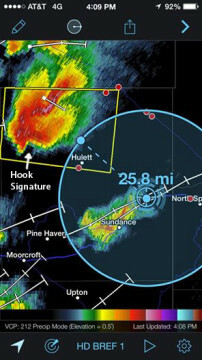 This composite image shows our location southeast of Hulett, and the radar signature of the tornado at its beginning and at its end, with the white line connecting the two showing a possible path. Soon the winds died down as the storm passed to our northeast. As we drove away, Skip commented that we didn’t see a tornado, we experienced it. That sums it up nicely. It was later classified as a strong EF-2 with winds of up to 120mph and a track of 18 miles. Fortunately it passed over sparsely populated country so there was no loss of life and only one injury. 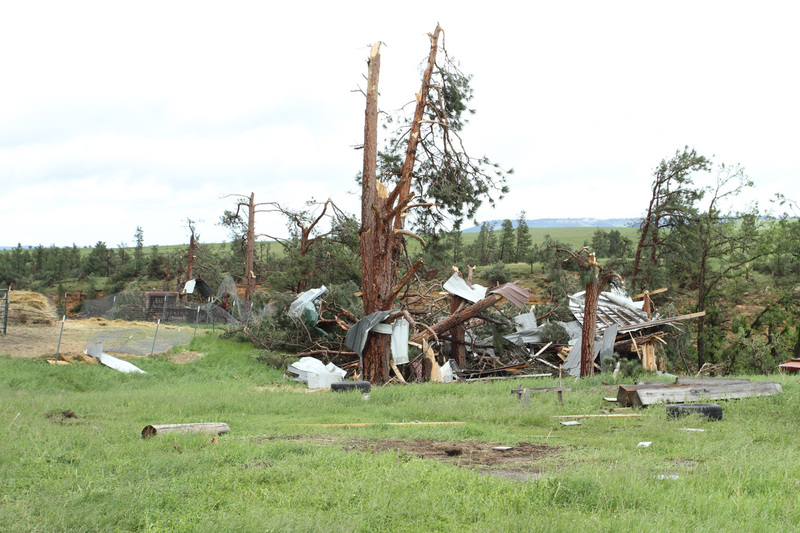 It did destroy a mobile home, several outbuildings, and mowed down a significant number of large ponderosa pine trees. 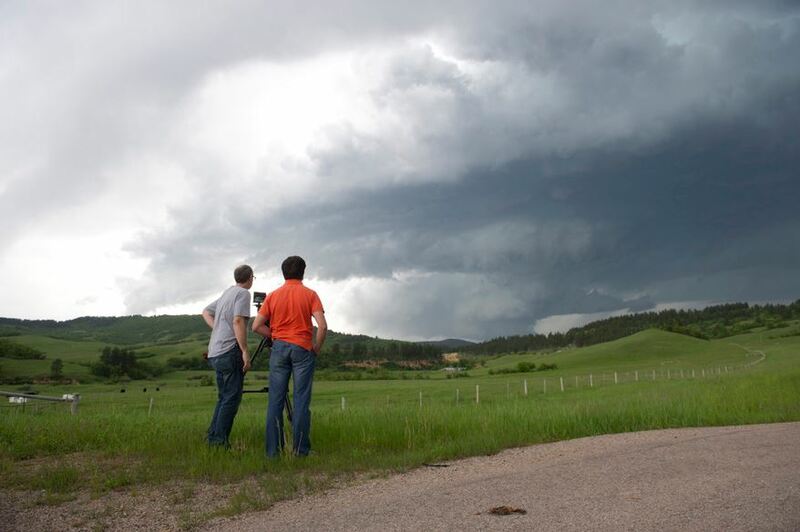 This was to be the first tornado encounter in an amazing storm chasing trip and was an experience I will never forget. Over the next few months, we’ll be doing the post work on the footage shot on the Epic, and we’ll make it available as soon as possible. There is so much I want to share, plus more tornado stories will be coming in future Artbeats eNewsletters, so stay tuned! Artbeats has been privileged to be a part of a great industry for over 23 years. We’ve made a commitment to giving back to the community, not only through monetary donations, but also in sharing our time and resources. 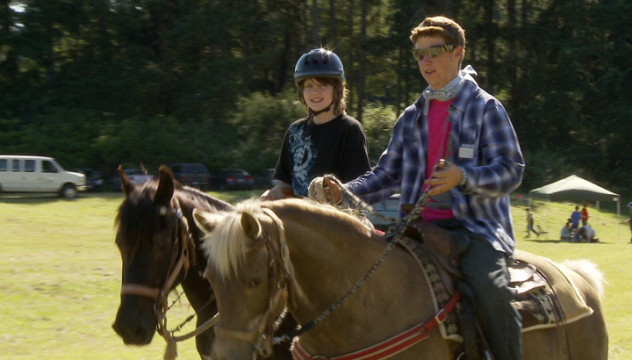 For the past few years, we’ve had the opportunity to volunteer as the official film crew for Camp Millennium. 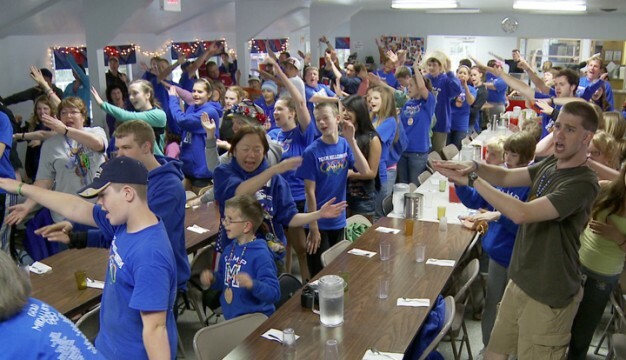 Camp Millennium is a camp for kids who are dealing with cancer in some way. The camp runs a full week and there is no cost to the camper, as it is entirely funded by donations. I’ve been privileged to join Artbeats president, Phil Bates, in capturing footage and creating a DVD that replays the fun the kids experience during their week-long escape. At the beginning of this shoot, we accepted the realization that we could not control the place, time of day, lighting, or action taking place. We would not be able to say, “Take two” to much of anything except the kids’ personal introductions, and we would not have time to fiddle with camera settings, lenses or such. So, our first obvious choice was about equipment. We chose a Sony EX-1s, a lightweight tripod, and a FigRig to make hand-held acceptably stable. We took a reflector, a zillion cards, batteries, and a drive on which to copy the precious footage. 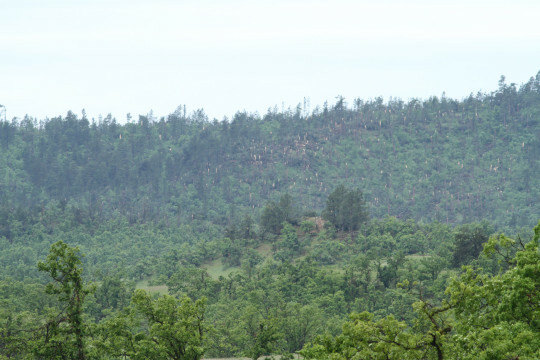 Camp M is currently held in the mountains directly above the beautiful Umpqua River in Southern Oregon. A windy dirt road makes its way up to large terraces where a gym, pool, playground, and eventually cabins and cafeteria are nestled among giant fir trees – beautiful surroundings that make for exhausting shooting as you rush up and down hills so as not to miss any activities going on at each location. The 95+ kids participate in swimming, archery, horseback riding, a ropes course and giant zip line, judo, recreation games, art, skits, a day of water games, a dance, campfires and fun meals, and a whole day is devoted to a marathon field trip that includes a trip to the movies, McDonalds, a day of Olympic style games, bowling and pizza. The shooting day begins (after prep, that is) at 8:00 am and ends whenever the last activity for the older kids winds up, usually around 10:30 or 11:00 pm. The trick was to change our mindset from shooting stock video to capturing not only participation in the events, but the anticipation, struggle, joy, trepidation, fun, frivolity, and precious, tender moments that flow out of a week centered on these kids’ camping experience. Being alert at every moment for the little scenarios going on makes you aware that there is a camaraderie among kids with a common problem. They encourage each other to get on a horse or swim across the pool, shout for joy when a timid jumper finally lowers himself off the platform to zip down the hill, and stop dancing to sit with their friend who needs a treatment. They routinely visit the nurses’ station for meds, sometimes with their counselors who are previous campers themselves. They hug, sing, and cry with empathy over the death of friends, relatives, or fellow campers; are enthusiastic, silly, and appreciative. They make kind and appropriate fun of their cool counselors who are always “on stage” and model a looking-for-the good attitude. And, imagine this: they act like, well, kids. It’s these moments that you can’t “do over,” so whether it’s magic hour lighting or pouring down rain, these snippets in time must be captured for DVD posterity. Our first year at camp, the staff told us numerous stories of campers who have to spend time in the hospital, often in lengthy stays, and how they watch their Camp M DVDs over and over, reliving a time when they just had fun with their friends. The DVD serves not only as a chronicle of the year’s activities, but a reminder of a week of escape. That knowledge fuels our dedication to retelling the camping story – to give them something to remember, relive, and look forward to. This year, we brought our RED Epic camera along, as well. We limited its use for all the reasons we stated, and daily rain further limited the plan because we just didn’t want to deal with keeping it safe and dry. But a savvy camper/budding film student spotted it, recognized what it was and drooled heavily, encouraging Phil to take advantage of a couple of fun opportunities to bring it out for some slow-motion trickery. One day a downpour brought rain overflowing the cabin gutters, and several older kids volunteered to let the streams of water hit their faces. He also caught a walloping belly-flop by a counselor who created an enormous splash in the pool, and brought the camera out again during the games for events like parachute launching and sack races (races in slow-motion? That’s an oxymoron.) Another day a young animal-lover begged Phil to film her “snail circus,” and recognizing this important gift from a child, he dutifully set up a camera and filmed her lovely snails, up close and personal, much to her delight. But the coups de gras was the short introduction to the Epic camera and some on-hands experience for that budding student, a moment he’ll never forget. And neither will Phil. 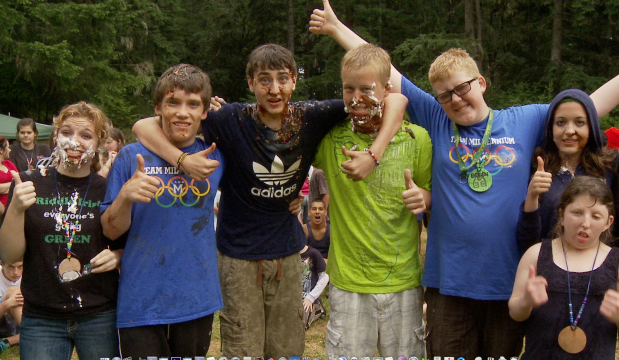 What Artbeats hopes to give the campers of Camp Millennium is a fun-filled, tender, hilarious DVD shot and edited by a professional cinematographer who adjusted his focus for a week and who truly cares about a bunch of campers he may never see again in this life. Somehow the many adults who generously donate their time, effort, energy, and money to a worthy cause create a week of joyous escape for those to whom life has been unfair. What does Artbeats get from our donation? A new lens through which to appreciate the world, and you can’t put a dollar figure on that. 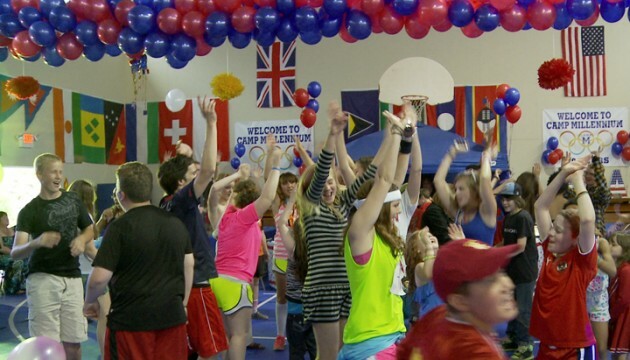 Learn more about Camp Millennium. Weather is an important subject for Artbeats, especially storms and severe weather, which are popular subjects with our customers. We’re always looking for innovative ways to capture the drama of large supercells, and even a tornado if we can find one. Our latest effort is a relatively new idea we call Aerial Chasing. 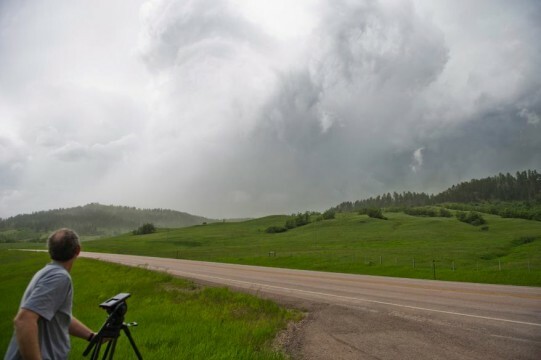 Storm chasing is typically done in a vehicle firmly planted on the ground in relative safety, but has limitations such as bad roads and obstacles like trees, hills and buildings that make capturing good images so challenging. 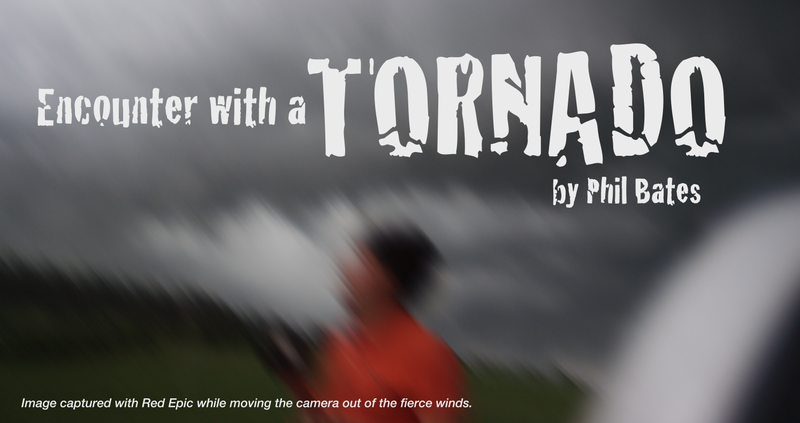 Taking the concept of chasing storms up into the air where those limitations don’t exist has rarely been done (and never with a high end film camera) and is a dream for storm chasers, yet poses its own set of challenges and risks. Dangerous hail, wind shear and extreme turbulence all require serious consideration. The FAA recommends that small planes stay 20 miles away from thunderstorms, and flying into a storm can easily destroy a plane in minutes (imagine no visibility, vertical winds and tennis ball sized hail), so we approached this idea with extreme caution. The GPS display shows our position relative to the storm. Last December, storm chaser and weather expert, Skip Talbot approached me with an idea to aerial-chase storms this May, the height of tornado season. 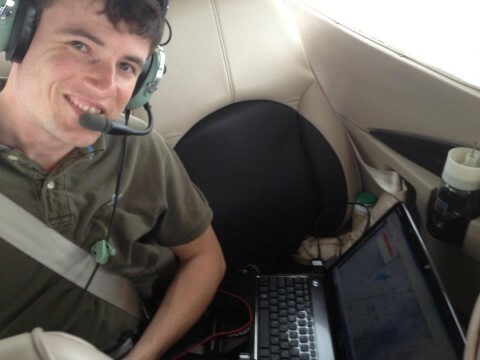 His pilot, Caleb Elliott, is an extremely experienced commercial pilot, flight instructor and storm chaser. 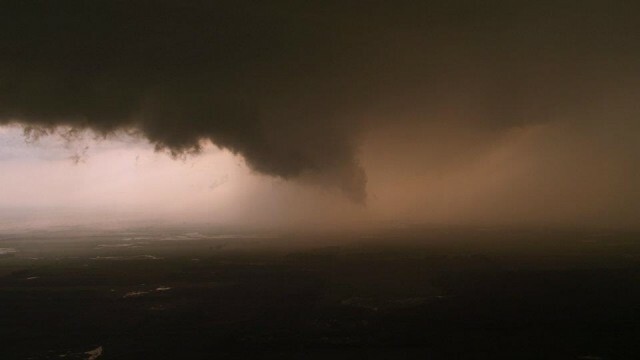 As the time approached, we worked up a plan to meet in Kansas City, setting aside five days for chasing with a rented Cessna 182 to fly close to and film tornado-warned supercellular thunderstorms. 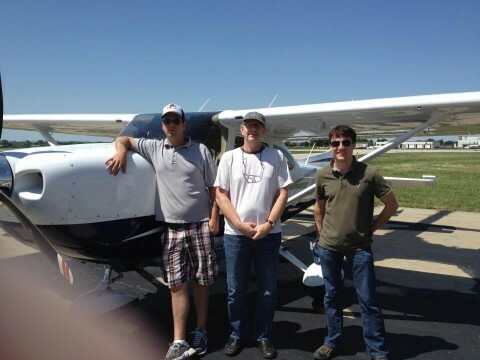 Caleb Elliott, Phil Bates and Skip Talbot in front of the Cessna 182. 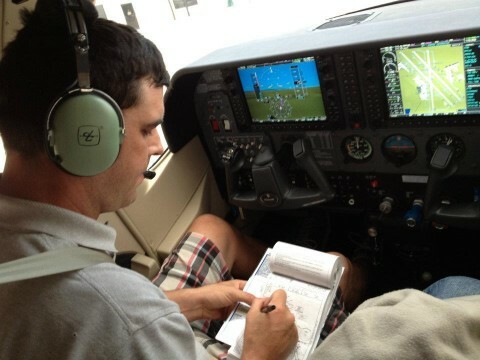 Caleb Elliot preparing the flight plan. Skip Talbot using radar to forecast in real time (now-casting). My biggest concern was not the safety issues, but how to shoot stable images from a small plane in the turbulence near a storm. Acquiring a gyrostabilized system was not an option in this case, so after taking several test flights and trying various hand-held and mounting configurations, I settled on using a monopod wedged between the seat and the door, with foam rubber cushioning all of the contact points. The RED Epic camera was small and light enough for this setup. Our tests showed that a CANON 24-105 Image Stabilized lens gave the best focal range for this application. I knew that rolling shutter and vibration could still be a problem so I shot 5K format at 96fps, then stabilized in post using After Effects, with the extra frames to blend/hide the vibrations. Not a perfect solution, but good enough for this shoot which we considered a big experiment. Flying towards typical storms in clear air, the plane would bounce with turbulence from thermals coming off the sun-heated fields beneath us. Fortunately, the anvil of a thunderstorm casts a large shadow, especially when you are on the east side of the storm in late afternoon. The shadow cooled the ground and gave us steady air with no thermals. This is not to say that there was no wind; the updraft of a supercell thunderstorm creates a hefty 60mph wind that was constantly pulling us toward the storm’s core. Fortunately, our plane could fly twice that fast, so anytime we wanted, we could escape fairly easily. We found that if we stayed under the anvil within 2-5 miles southeast of the storm’s core, the air remained steady and was free of rain and the destructive hail we were trying to avoid. Skip was in the back seat monitoring the storm with radar and feeding the pilot with distances to hail cores and updrafts. If we found turbulent wind shear, we simply turned back to the smoother air we had just come from. This method kept us safe, yet we were close enough to see the violent storm structure looming close and large out our windows. 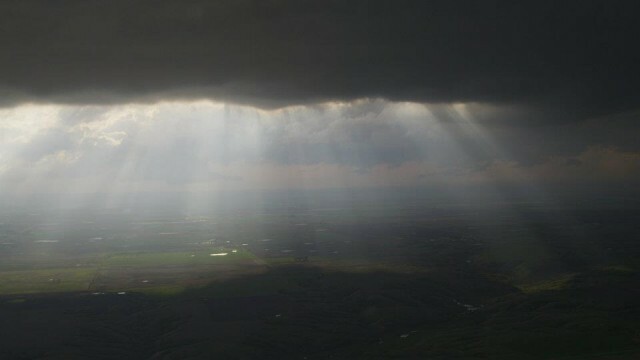 Despite the relatively smooth air, shooting the storm through an open window of a Cessna was a fairly chaotic experience. The lens protruded outside into the 100mph wind, which was so strong it was constantly trying to twist the focal length ring on the lens. I had to use gaff tape to hold it and the focus ring in place, but even then, the tape would buckle under the extreme forces. The vibrations would loosen the quick-release plate which required me to pull the camera off and tighten every minute or so. In order to keep the strut and wing out of the shot, I had the pilot carefully position the direction of the plane and lift the wing. We had to abandon the above storm for fuel after two hours of shooting. Wouldn’t you know, the storm produced a tornado 15 minutes after we left! All in all it was an exciting, fun, albeit tumultuous shoot. In the months to come Artbeats will be producing a selection of this footage and making it available on our website. 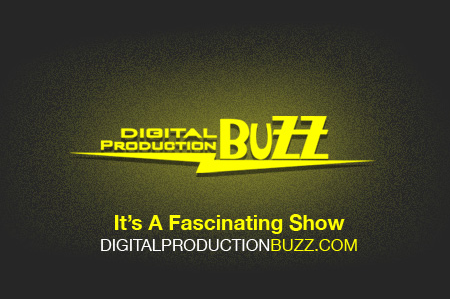 Last nights Digital Production Buzz featured Artbeats’ President Phil Bates. Larry Jordan and Michael Horton chatted with Phil about the recent aerial footage Artbeats filmed in Washington, DC. Artbeats Washington, DC aerials. View the demo reel here. After months of work from Artbeats staff, outside consultants and our pilot, the Transportation Security Administration granted us a waiver to spend two days shooting aerials over Washington, DC. The monumental red tape included getting clearance from the military, Secret Service, FBI and TSA. With that work behind us, we still had to get permits, as well as clearance from the tower at Reagan International Airport. Because of their busy weekdays, they asked us to push our daytime flights to Saturday. Even with the waiver, we were not allowed to fly over the mall or shoot the White House. We were required to have a police officer accompany us in the helicopter during the flight and pre-screen us on the ground. 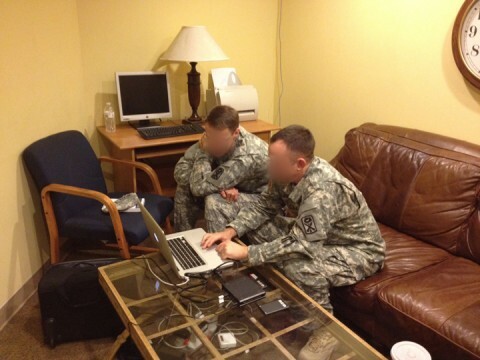 At our airport, two Army Intelligence Officers waited for us to land so they could look over every shot, make sure there were no security violations, and delete any problem clips on the spot. Because of this we did quick cuts while shooting, so anything cut would be short. 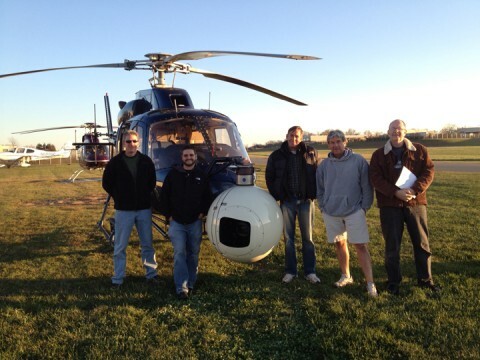 Our equipment included the Pictorvision eclipse gyrostabilized gimbal mounted on a TwinStar helicopter. The camera was a RED Epic-X with an Optimo 24-290 lens. We shot at 30fps, 5K 2:1 with a Redcode setting of 8:1 and 6:1 for the nighttime shots. Our media was 256GB SSD cards, which gave us around 60 minutes of shoot time. The lens gave a small amount of vignette at all the way wide. No big deal, an easy crop. Our first flight started on Friday near sunset from our small airport outside the “Freeze”, a term for the round shaped 7 mile wide restricted area over DC. Along with the pilot, camera operator, and director (me), having a police officer on board plus the weight of the camera gimbal meant a very limited amount of fuel thus only an hour in the air over the capital. On our route over the Potomac into the “Freeze” we could easily see the Langley CIA building on our right in full view tempting us. Originally we wanted to shoot it, but our DC consultant warned us not even to ask. In contrast to the 1500ft altitude minimum requirements when flying over buildings over NYC, our route into DC along the river limited us to 200ft max above the ground. This is because flights arriving at Reagan are approaching just above our heads. All arriving planes had to keep us in sight at all times. In fact, any airline pilot not able to see us must abort the landing and turn around for another approach. The TSA were also watching our every move, making sure we stayed away from the restricted airspace over the Mall, White House and VP’s home. 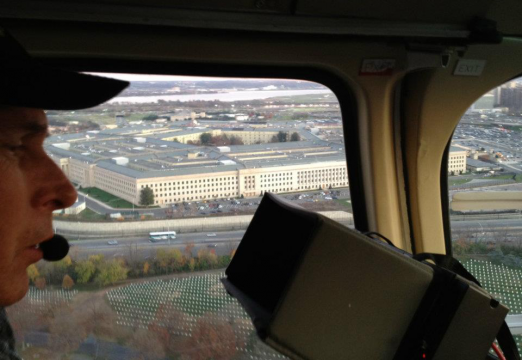 Normally, I like to shoot from low altitudes, but this proved to be a problem near the Pentagon where the geometric shape of the building is lost at that level. We needed to fly west away from the arrival lanes in order to get permission to get higher for a better view. 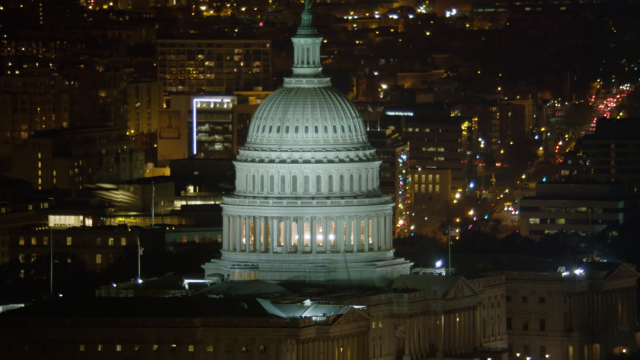 The Capitol building and Washington Monument were the two landmarks that drew the eye and the camera. It was hard to pan away from those amazing structures. The best shots were shooting lengthwise down the Mall from east to west or from the other side west to east. Doing a slow camera dolly move north to south (or vice versa) with the Monument and Dome lining up gave us the best framing. The 12x lens gave us the reach we needed. Along the river we saw missile batteries on a rooftop. The police officer on board said we could shoot it but risk it being deleted. We stayed away. Our shot list also included universities, the Watergate, Arlington, stadiums, other monuments and hospitals. It took us 4 different flights to shoot daytime, night time, and dusk versions. I am also very thankful to our crew and Artbeats staff who made this shoot possible. This summer, the Artbeats film crew was given an opportunity to film fireworks from a unique perspective, one that not many people get. Homeland Fireworks, a specialty pyrotechnics firm in Oregon, allowed us to place our cameras directly inside the launch pit. We soon discovered that this would not be a typical shoot. When you place a camera within a few feet of the launch mortars, you are putting the equipment at risk. During the shoot, we were not allowed to sit with the camera. Instead, we had to push the record button, then move to a safer position away from the launch pit. Even so, we were asked to wear protective clothing, as well as eye and ear protection. At any time, one of the launch tubes can rupture, which is the cause of many pyro accidents. There were shell casings and burning debris constantly falling on and around the camera. We used a protective foil, but unfortunately we can only cover so much. At one point after a show, I walked up to the camera to find burning embers still sitting on the camera body. The lens is also directly exposed to ash and embers. The pyrotechnician graciously agreed to blow off the lens using a can of air at five minute intervals during the shows. We used Nikon mount fish eye lenses on our RED-MX cameras. The cameras were pointed nearly straight up for maximum coverage. Due to the concussion involved, we used SSD cards instead of RED Drives. Fortunately none of our equipment was damaged during any of these shows. On a personal note: It is exhilarating to watch a fireworks show from that close. Eye and ear protection is mandatory but you still feel the concussions in your chest. Since the show happens directly overhead you need to be lying down or you can end up with a bad neck ache. Trust me though…this truly spectacular sight is worth the discomfort! We are very thankful for Homeland Fireworks for allowing us and our cameras such close access. The Fireworks POV collection features 39 clips, captured from three different firework shows including the Hillsboro Air Show, which is the largest firework show in Oregon. The collection is available in either NTSC, PAL or HD. In addition, every clip can be purchased individually, in resolutions up to 4K. View the Fireworks POV clips/collection. View the Fireworks POV demo reel.